Living in the Orlando, FL area guarantees all sorts of natural amenities, like generous sunshine, expansive water access, and a general positive disposition. 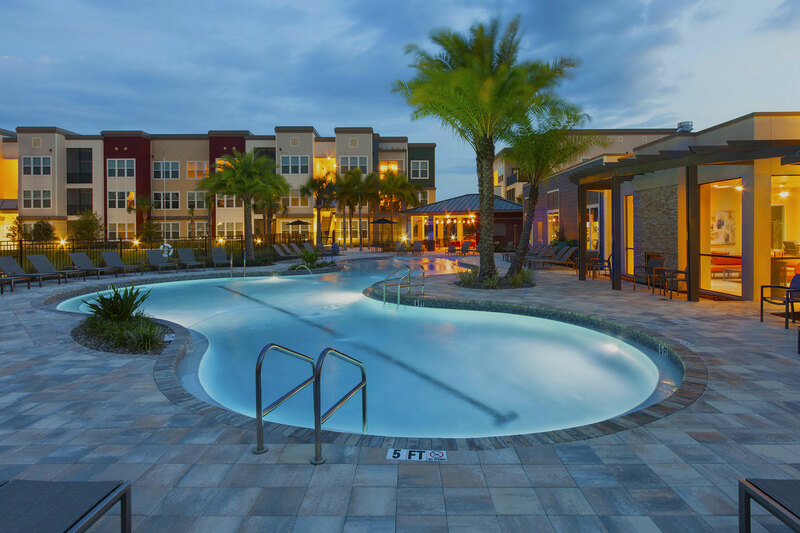 If you’re hoping for these benefits while looking for rentals near outdoor activities in Orlando, FL then check out Dwell Nona Place for your very own piece of the magic. With a playground in the community, a pool cabana with grilling and lounging areas complete with palm trees and hammocks as well as an on-site dog park (equipped with a dog shower, too! ), you’ll be sure to feel nature’s bounty right at home! Dwell Nona Place offers its residents a strong relationship to the natural elements as a retreat from their hectic and demanding lifestyles. Because Orlando, FL is an area with strong earth-friendly and green initiatives, Dwell Nona Place follows practices that are modeled after these motives. In addition to walking trails within the community and an observation dock that overlooks Lake Whippoorwill, the community also provides a charging station for those with electric cars. If you cherish Mother Earth as much as the other Dwell Nona Place residents, you’ll feel right at home here. For other outdoor activity ideas in Orlando, FL, there certainly isn’t any shortage of fun things to do or see for the whole family. Because of Orlando’s proximity to water, there are a handful of wetland areas to visit, including LaCosta Urban Wetlands and Greenwood Urban Wetlands. Also, be sure to make a stop at Airport Lakes Park, just 17 minutes from Dwell Nona Place, as this lakeside location offers a pier, sports fields, a disc golf course, as well as a playground. Lake Eola Park is another great spot to hit nearby, as the main feature is the lake itself. On weather-cooperative days, you can even catch the majestic fountain and graceful swan boats. With rentals near outdoor activities in Orlando, FL when you’re feeling the urge to get a nature fix, you won’t have to go far at all! If staying close to nature and outdoor activities is a must-have for your new home, contact Dwell Nona Place today to schedule a tour of the community and make the right move!